So, you’re kind of a thing now. You’re the free agent du jour. You’re in the top 10 in real-plus minus, and I know you’re aware of that. People know your name now. Is that strange for you — how fast it has happened? Yeah, it’s a little weird to me right now. I’m just trying to stay focused — to go out there and play, and not worry about everything else. That’s just what you’re supposed to say. But that’s how I really feel! I’ve talked to my agent, the other guys on the team, the media — I just want to play basketball, have fun, and try to make the playoffs. You’re in the top 10 in real plus-minus. I know you’ve been asked about that before. Do you think you’re one of the 10 best players in the NBA? I have the confidence to be. I’m gonna play like it. Some people will have their opinions, but to be in the league, you have to have confidence that you’re one of the best. 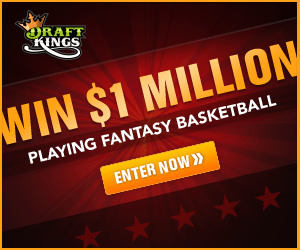 How did you find out the team had traded Brandon Knight for Michael Carter-Williams? So you were all together? What was the reaction? Yeah. It was tough, man. We had things rolling before the All-Star break. We thought we’d just get back on track rolling after the break, too. But it’s a business. They thought it was a good trade for the team, so, I mean, we’ll see. The team has struggled since. Do you let yourself look at the standings? Oh yeah. I look every day. Some players swear they don’t. Oh, I gotta look. Each game counts from here on out to make the playoffs. It looked a few weeks ago like you guys might push the Wizards for the no. 5 spot. Now you’re only a few games up on no. 9 and no. 10. Do you worry you might even miss the playoffs? Do you let yourself think about that worst-case scenario? Sure. I feel like we control our destiny, but you always fear missing the playoffs when you have the chance. Your Twitter feed suggests an unhealthy addiction to the FIFA video games. Who is your team, and how many hours a day do you play? I play with Barcelona, and that’s kinda cheating right there. It’s better than Real Madrid. I haven’t played in a while, but in the middle of the season, it was easily three or four hours a day. Trying to concentrate on all this, man. The marketing department tells me they turn to you for some of the sillier requests. I heard you had to milk a cow at the state fair over the summer? How was that? It wasn’t as bad as I thought it was gonna be, but I got set up by my teammates at the time. John Henson backed [out] on it. Brandon was supposed to do it, but he backed [out] on it. I was the last resort. They made me do it. Is it like a race? Who can milk the cow fastest? No, no. It’s just me. So it’s literally just people watching a basketball player milk a cow. Yup. It’s just, “Here is a Milwaukee Buck player milking a cow” in front of about 50 people. It was interesting. How’d you do? Did you practice? They said I was pretty bad. But I’m honestly fine being bad at that. Your shot release on 3s looks quicker to me these days. Did you work on that? Or is the release the same, and you’re just more willing to take them? I’m just trying to shoot in rhythm. That’s the biggest thing for my shot from long range. I don’t try to speed it up too much. Someone with the team told me everyone has been on you to take the first good shot instead of passing it up to look for a teammate. Is that a conversation you have with coaches — to be a bit more selfish earlier in the shot clock? Yeah, many times. Players, coaches, the front office — they’re always on me when I pass up a good shot to try to be unselfish and make a play. They want me to take that first shot when it’s available. Is that against your nature a bit? A little bit. I’m an unselfish player. In high school, I played a lot of point forward, and I had to get everyone involved. But here, they want me to shoot and score, and that’s what I had to do. You guys go to dinner a lot in big groups. Are the coaches allowed? Players only, man. No coaches. Imagine Jason Kidd comes to you and offers you the chance to do lots more of one of these things, but not both: Would you like to post up more, or run more pick-and-rolls? Probably post up more. I just create a lot more problems posting up. I get to my spot and force teams to help. I can create some problems down there. That’s new for you on this level. Teams aren’t gonna let me play down in the post anymore. They’re always gonna send an extra body or trap me. Someone is gonna be wide open. I just have to be efficient down there. Are you surprised at how good the team has been overall this season? What did you expect coming in? I expected we would make the playoffs. We all worked for it. Last year was terrible. We tried to put that behind us and use that as motivation over the summer. There were a lot of times where we came together during the summer, worked out together, tried to be positive. We were always together, trying to find ways to get better. I’ve been told you have a Lucky Charms problem. They are your favorite cereal, right? Oh, yeah. I don’t know why. It was my favorite growing up, and it still us. Come on, man. They’re gross. Nah, I love ‘em. I got a box at home waiting for me. You can’t eat that stuff every day. What’s your backup? Gotta be the Raisin Bran Crunch. A little different, you know. It’s a good mix. You keep saying you haven’t thought about your free agency. Come on, admit you have! No, seriously. I went out to eat with my agent last night [in New York], and he asked me if I wanted to talk about it. I said no. I wouldn’t talk about it with him, even. I just want to wait until the season’s over — focus on basketball and making the playoffs. Everything else will figure itself out. Do you care where you live? Or are you a homebody? I’m a homebody. I love Milwaukee. A lot of people don’t like it, but I love it. There’s enough for me. I can go out and have fun when I need to, and I can chill and relax when I need to. As long as I have a gym, I’m good. You guys play a very different defensive scheme from most teams— or at least an amped-up version. You send extra guys to the strong side, rotate a ton, and generally fly around out there. It’s like an anti-Bulls defense. Is it hard to learn? It takes time for a team to come together and play that way. You have to know your teammates and trust them. You have to trust that if you get beat, somebody is going to be there for you. It’s a good system. It’s worked for us really well. I actually don’t think it’s a tough system to learn, as long as you have trust and team chemistry . You have to be in tip-top shape to play that way, right? You gotta play hard. But with our size and athleticism, that should be no problem. If we play hard, it’s hard to score against us. 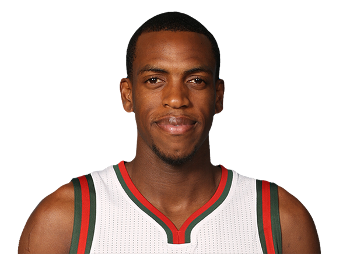 Is it strange to think the Knight/Jennings trade might end up being the Khris Middleton Trade? It’s weird to think about it now looking back. When I first got traded, I was hurt. I really was. But then I just tried to look at it as an opportunity to come here, get better, and play — to try to make the rotation, then try to start, and then try to help the franchise win games. Speaking of the rotation: There was that one day when you didn’t play, and you tweeted something about being shocked at what had happened. People assumed it was because of the DNP, but then it came out that your car might have been stolen. So which was it? It was definitely my car getting stolen. Did the police ever find it? Never recovered, never found, never heard of again. It’s crazy the way it happened. Everyone thought it was because of the DNP against Detroit, but it was really the car. I mean, there were many games I didn’t play in Detroit. It was just coming back from the game, and having the car that I had just bought get stolen. I got it over the summer. It was a Dodge Challenger R/T Classic. A new one — 2015. Somebody just hopped in the car and drove off with it. I was hurt. I was upset. I had a Jeep also … I’ll find something during the summer. Is it awkward that you and Jason Kidd have the same agent? It’s a little awkward. But those are two different businesses. We don’t talk about it at all. He coaches me. My agent will talk to me, and talk to him a bit separately. But we don’t talk about it. What’s one thing we should be looking for from the Bucks over the last few weeks of the season — something little, or something big? Just everybody giving max effort, man. Gotta win these next couple of games and finish the season.